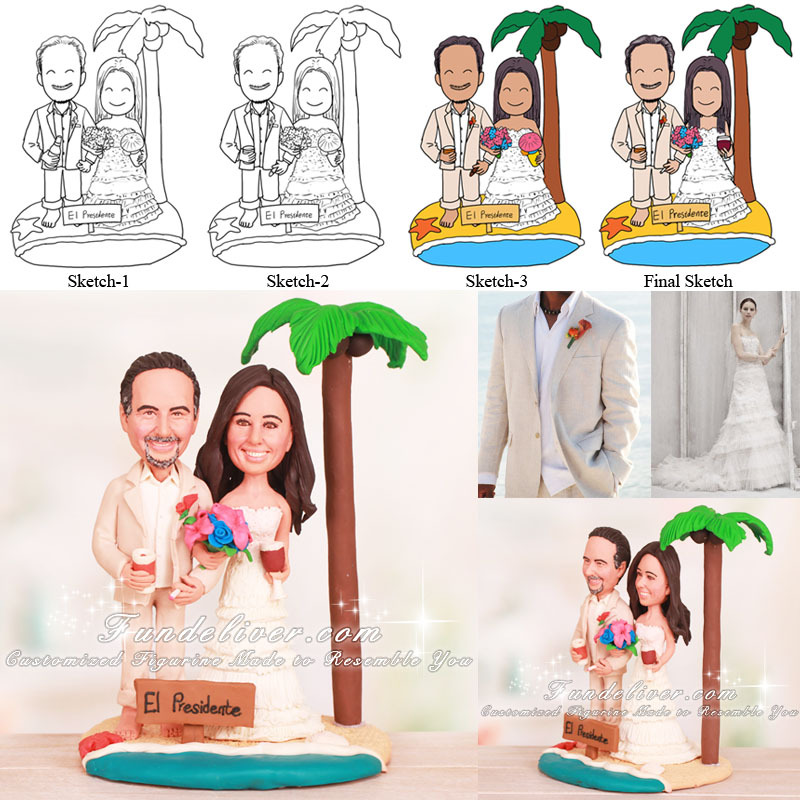 This is a completely customized groom holding cigarette tropical beach wedding cake topper ordered by one of our customers. They would like the groom’s figurine to be in a tan suit, holding a cigarette in one hand and a scotch glass in the other. 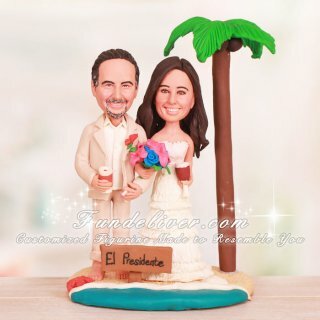 For the bride’s figurine, they would like her to be in wedding dress, holding a bouquet in one hand, and having a glass of red wine in the other hand. They are both barefoot, standing on a beach base with palm tree, starfish, ocean and a small sign in the sand that says "El Presidente".